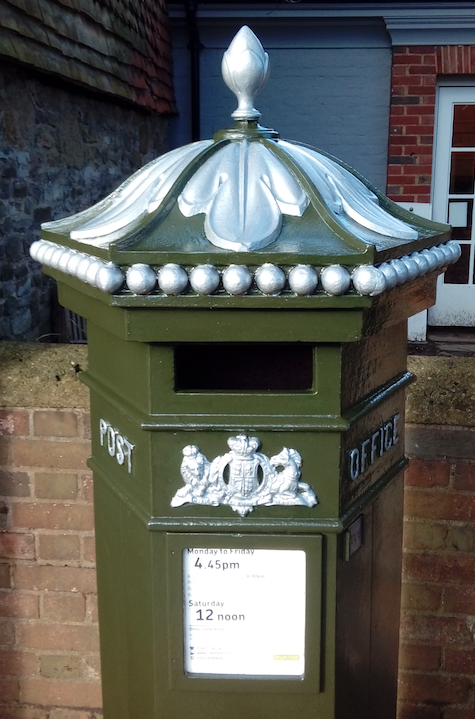 In November 2016 the Haslemere Society was instrumental in getting the Royal Mail to re-paint the Penfold letterbox in the High Street. The letterbox was designed by John Wornham Penfold, who is commemorated in the blue plaque at Penfolds, Sandrock, see our write-up here. 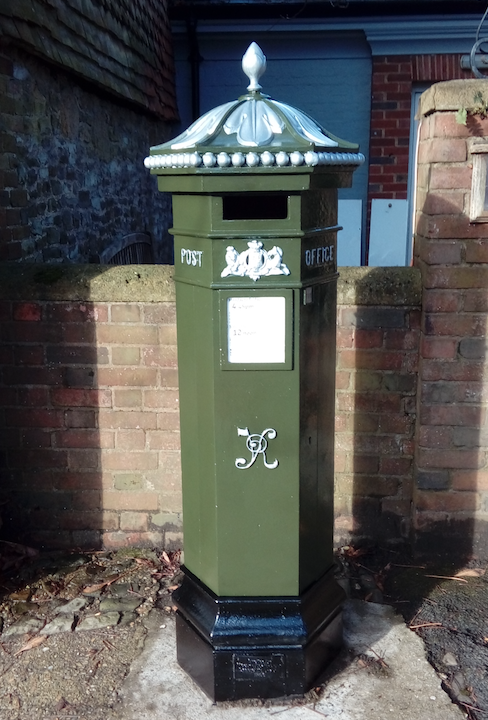 The Penfold letterbox in the High Street is a facsimile produced for the Royal Mail and installed circa 1994. There are original Penfold letterboxes recorded across the country.